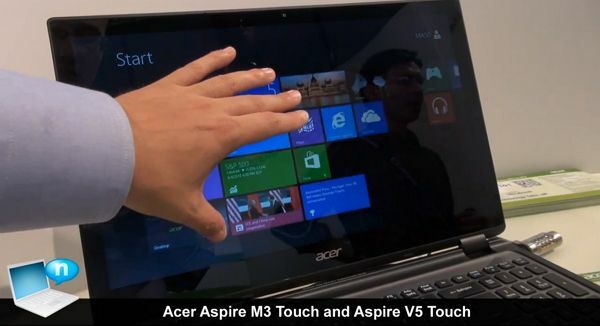 Tag Archive | "m3 touch"
Acer is preparing to launch the Aspite M3 Touch with Windows 8. the design is based on a previous iteration of an Acer Ultrabook — the Acer M3. The M3 Touch is a 15.6″ touchscreen Ultrabook which competes with other big Ultrabooks like the Asus S56 and Vizio Thin and Light CT15 (indirectly however, as the latter two lack a touchscreen). Notebook Italia tracked down the M3 Touch for a brief hands-on and also uncovered European pricing.